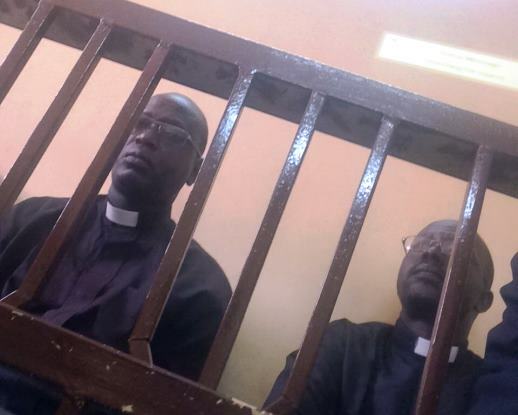 A Sudanese judge has decided enough evidence exists to require two South Sudanese Presbyterian pastors to face trial on espionage and other charges that could carry the death penalty, according to a US-based religious-freedom group. The American Center for Law & Justice reported late Thursday that the judge made the ruling on 2 July after a day-long hearing concerning the pastors, Yat Michael and Peter Yen. The judge had indicated at a June 25 hearing that he would decide July 2 whether to drop the case against them or allow it to continue, in which case the two men will face the possibility of the death penalty or life imprisonment in the event of a guilty verdict. The Washington, DC-based American Center for Law & Justice, which provides legal assistance to international religious-freedom cases, said the judge’s ruling is not a conviction but means the pastors now must counter the charges by presenting evidence to demonstrate thier innocence. Their lawyer, Muhaned Mustafa, has less than two weeks to prepare their case for the next hearing on 14 July. Mustafa will have only about 15 minutes with his clients, prior to the hearing, to prepare them. At the end of those proceedings, the court will have the final opportunity to review all the evidence presented and drop the charges or convict the pastors. During Wednesday’s hearing the judge questioned both men about documents found on their computer after their arrests, which included internal church reports, maps that show the population and topography of Khartoum, Christian literature, and a study guide on the National Intelligence and Security Service (NISS). “All of these materials, with the exception of the internal church report and the study guide on NISS are publicly accessible materials,” explains the ACLJ. The pastors acknowledged having the internal church report, though both said they had never seen the study guide on NISS until it was presented in court. They had no knowledge of how it got on the computer. Besides these documents, the only evidence brought by the prosecution against the Christian pastors was a sermon Michael gave on the Christian doctrines of their denomination. At the conclusion of today’s court hearing, their lawyer, Mustafa, requested better access to his clients, but the judge only had authority to grant him visitation at the court. “Sudanese law grants sole discretion for visitation rights at the prison to the prison directorate, who in this case has previously denied requests for access,” explained the ACLJ. Denying the pastors access to their lawyer to prepare their case is a violation of rights guaranteed both under Sudanese law and international law. The attorney will appeal the matter to the prison authorities on 5 July. Meanwhile the judge offered the attorney upto 15 minutes at the court to prepare his defense. The attorney protested that such time is not adequate to prepare a defense, let alone a defense for charge that carry the death penalty, but to no avail. Both men will continue to be detained at the high security Kober Prison in Khartoum North, where they’ve been since 1 March. They are no longer in solitary confinement. Michael and Yen were charged jointly with acts of criminal conspiracy (Article 21 of the Sudanese Penal Code); undermining the constitutional system (Article 50); espionage (Article 53); disclosure and receipt of official information or documents (Article 55); promoting hatred amongst sects (Article 64); breach of public peace (Article 69); and offences relating to insulting religious beliefs (Article 125). Of the six charges, Articles 50 and 53 carry the death penalty or life imprisonment in the event of a guilty verdict. World Watch Monitor recently learned that the two men have been charged with espionage (Art. 53) and promoting hatred amongst sects (Art. 64), instead of waging war against the state (Art. 51) and arousing feelings of discontent among regular forces (Art. 62), as previously reported. Michael was taken into custody on 21 December 2014 after preaching that morning at a church in Khartoum. Peter Yen was arrested on 11 January 2015 after he delivered a letter to the Religious Affairs Office in Khartoum asking about his colleague Michael’s arrest in December. Their wives have managed to see them, a source has told Radio Tamazuj. Their visit last Thursday came after the judge allowed the two men to speak with their families for just 10 minutes. 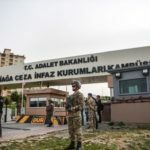 Prison authorities continue to ban regular visits despite it being unconstitutional to deny prisoners a visit from family members and friends. 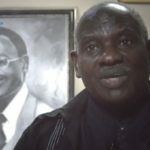 In a new development, Mohaned Mustafa, the lawyer representing the two men, was arrested yesterday along with Pastor Hafez of the Khartoum Bahri Evangelical Church, the church where Yat Michael preached and spoke out against the persecution of Christians in Sudan, and an ongoing land dispute between the church and the government. 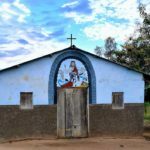 According to the American Center for Law and Justice, local sources, whose names are being withheld for security, understood that the church asked the men’s lawyer to come to the church because the police had showed up with engineers to demolish it under a government order. At the scene, lawyer Mustafa asked to review the order. It clearly authorised the government to destroy section 5D of the church compound, but the police were instructing them to destroy section 5H. The engineer took the matter up with the police present. Angered by the situation the police then arrested Pastor Hafez, put him in handcuffs and walked him to the police station through the public market. Mustafa stayed on the church compound and overheard the engineer continue to press the police officer on the matter. At that time, the police told Mustafa he had no right to stay on the property; he responded calmly that he was the legal representative, had done nothing wrong, and was there to observe that the court order was followed properly. He was then arrested and taken to the police station and held for five hours before being released on bail. Both Hafez and Mustafa are now out on bail, but will have to defend their actions before a criminal court. They have been charged with violating article 99 of the Sudanese Penal Code of 1991 which criminalizes obstructing a public servant during the course of his duty. If convicted they could receive up to six months imprisonment, a fine or both. “This arrest of [the pastors’] attorney is of great concern. While we are pleased that he was promptly released on bail, the arrest shows a potential that high-level individuals are attempting to interfere in the judicial cases involving both the church land dispute and Pastors Michael and Yen,” said Tiffany Barrans, International Legal Director at the American Centre for Law and Justice. Meanwhile in another part of Khartoum, 12 Christian women were arrested on 25 June on public indecency charges by Sudan’s Public Order Police after leaving a celebration service at the city’s El Izba Baptist Church. They were charged with indecent or immoral dress under Article 152 of the Sudanese Criminal Code. The women, who were wearing skirts and trousers, were taken to a police station and forced to remove their clothes, which were submitted as evidence to the prosecutor. “The penal Code of Sudan was introduced in 1991 and is based upon a narrow interpretation of Shari’a (Islamic law),” according to research by Amnesty International. “It contains,” it says, “legal provisions that amount to a denial of fundamental human rights including limitations on the rights and freedoms of non-Muslims. Sudan’s legal system allows and promotes the conversion of the Sudanese people from Christianity and other religions to Islam, but makes proselytizing of Sudanese Muslims a crime punishable by flogging, and conversion from Islam is considered apostasy, and is punishable by death. “Suppression of non-Muslim and Muslim minority groups and violations of freedom of religion is wide spread in Sudan, reports AI. Since 1989 a specific interpretation of Islam was allowed to dominate the country’s laws, institutions and policies. 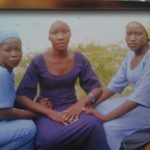 As a result thousands of non-Muslims have been forced to convert to Islam, priests and church leaders persecuted and thousands of Christians punished according to Shariá law,” the report adds. 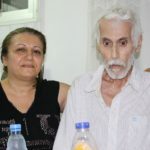 AI considers Michael and Yen to be “prisoners of conscience who were arrested, detained and charged solely because of the peaceful expression of their religious convictions”. The case of the two pastors has drawn worldwide attention as an abuse of human rights. One online campaign by CitizenGo has so far collected more than 100,000 signatures that will be sent to the UN High Commissioner for Human Rights, and the Sudanese president. The campaign was motivated by the success of people power in helping free Mariam Ibrahim when she was detained by the Sudan government. Michael and his wife arrived in Sudan on 13 December with their child whom they had brought to Khartoum for medical attention. During his visit he was asked to preach at the Sudan Evangelical Presbyterian Church, in the Khartoum suburb of Bahri, on Sunday 21 December 2014. During Michael’s sermon he had apparently condemned the controversial sale of the church land and property and the treatment of Christians in Sudan. The African Centre for Justice and Peace Studies (ACJPS) reported at the time that “the sale was made by the Community Council of the Church, a body appointed by the Government of Sudan’s Ministry of Endowments and Guidance – which reportedly does not have a mandate to sell church land. Sudanese police forces violently raided the church on 2 December 2014 to break up a sit-in demonstration organized by members of the congregation protesting the sale. Thirty eight people were arrested and 20 convicted of disturbing the public peace and membership of criminal or terrorist organisations [following the protest]”. Peter Yen arrived in Sudan in September 2014 and was arrested on 11 January 2015 from his home attached to Al Gereif Church in Khartoum, after he delivered a letter to the Religious Affairs Office in Khartoum asking about his colleague Michael’s arrest in December. Yen had apparently also been vocal about his opposition to the sale of land by the Community Council and voiced concern on the situation facing Christians in Sudan. ACJPS has stated “the serious criminal charges against Michael and Yen have been levied solely on the basis of their religious convictions and outspoken criticism of the ruling party, and as such, that their continued detention and criminal proceedings are discriminatory and in violation of constitutional and international legal guarantees of equality. There is also speculation that the trial of the two men is intended to send a message to other Christian leaders in Sudan to refrain from criticizing the treatment of Christian minorities in Sudan and the policies of the ruling party”.